A movement to ensure that all Americans understand and appreciate the American Revolution depends upon thousands of talented teachers working to share the constructive achievements of the Revolution with their students. Each year the Institute gathers some of the best history teachers in the nation for a week-long Master Teachers Seminar at our headquarters, where we discuss the most important themes to teach young Americans. Each master teacher spends part of the week creating a model lesson using the Institute’s rich collection of primary source materials. Each lesson is associated with one or more of the four primary achievements of the Revolution—our independence, our republic, our national identity and the high ideals that have shaped our national history. The lessons published here will include some of the best our master teachers have created. They are organized here according to their chronological and thematic focus. Lessons found in The Shaping of the Revolution deal with the period from the French and Indian War through the Declaration of Independence. 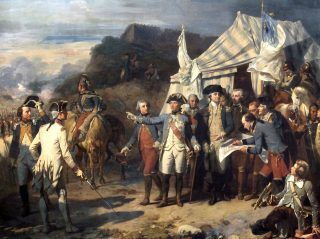 Lessons grouped under The Revolutionary War deal with the military history of the Revolution, but they reach well beyond campaigns and battles to explore the social, economic and cultural history of one of the longest and most difficult wars our country has ever fought. Lessons found under The Revolutionary Republic address the nature of republics and the creation of political institutions in the new nation. Lessons associated with The Legacy of the Revolution address the long-term consequences and implications of the Revolution, particularly the way in which the memory and ideals of the Revolution have shaped our nation’s history over nearly 250 years. The first lesson was created by Georgette Hackman, a master teacher who works for the Cocalico School District, which is located in the northern part of Lancaster County, Pennsylvania. The lesson, which is aimed at sixth grade, asks students to analyze primary sources in order to assess the contemporary and historical importance of James Wolfe, a British hero of the French and Indian War who inspired leaders on both sides of our Revolutionary War. The lesson is the first in what will be a growing series of lessons related to The Shaping of the Revolution. Georgette chose Wolfe because it is likely students won’t be familiar with him and will have to rely on the lesson’s primary sources to complete the exercise, challenging them to think like a historian—a fine place to begin. 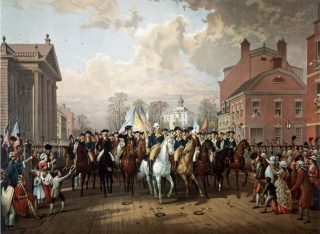 These lessons challenge students to consider how the American Revolution took shape, whether a drive for independence was inevitable and what independence meant for Americans of the revolutionary generation. These lessons ask students to consider how Americans fought and won a war for national independence, and how that war shaped the republic and our national identity. 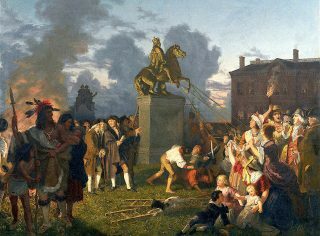 These lessons invite students to consider how Americans of the revolutionary era created the first great republic of modern times. 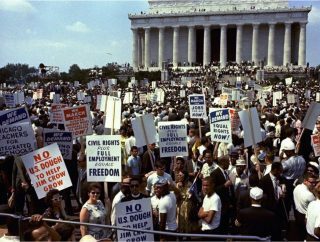 These lessons prompt students to consider how the memory and ideals of the Revolution have inspired American history over the last 250 years.